Classic holiday-camp sitcom. Ted is left out in the cold when the ballroom dancers throw a party. 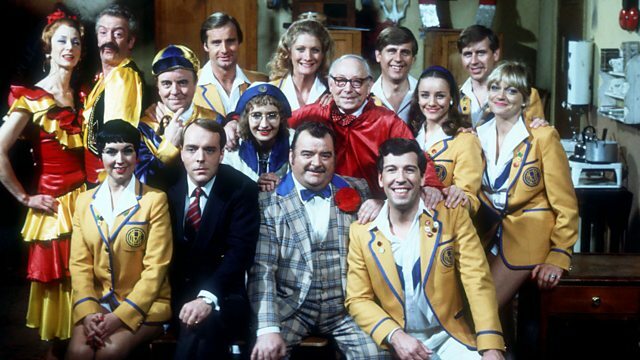 See all episodes from Hi-de-Hi! Composer: Roma Campbell Hunter. Performer: Ruth Madoc. Performer: Jean Lear. Composer: Ernst Bader. Composer: Klaus-Günter Neumann. Composer: Ralf Arnie.